Randy has now left Carlyle to restart his weekly publication covering the private debt markets, which is now called The Lead Left. This has been a must read for years for anyone who wants to understand this arcane and somewhat opaque, but critically important, world. Randy has extensive access to all the players in the debt markets and is in a unique position to answer the question now on everyone’s mind – Are we in another bubble that will come to no good end? I’ve been focusing on that very question, which is – “1. Do you see a correction coming?” and “2. How will it happen?” The answer is almost unanimously, that people view, smart money views, us coming up to a point in the not too distant future when there will be a correction. Number two, they believe it will come, probably, from exogenous factors; so, not related to the economy, not related to specific liquidity within the system, but some kind of geopolitical risk. Open up the pages of the Journal or the Times over the past couple of weeks and you’ll see plenty of such risk out there. Where it comes from, nobody really knows. That’s the daunting thing about predictions: you can never tell where the risk is coming from. But, the general investor sentiment is that when it comes, there will be opportunity for patient capital, just as there was in ’08-’09 – we remember those days when people picked themselves up and dusted themselves off and realized that there were a tremendous amount of investments available. You may remember Warren Buffett investing significant amounts of capital in Goldman and in some other major investments that he made and he’s known as America’s premier investor – he gets in when other people are getting out – and I think people learned a lot from that lesson: so smart money wants to be prepared when the music stops and have the ability to pick up after everyone’s left the party. You can access Randy’s full interview at this link. We had some issues with sound quality so you my have to adjust your volume a bit as you listen. Also, you can download a full transcript of the interview at this link. 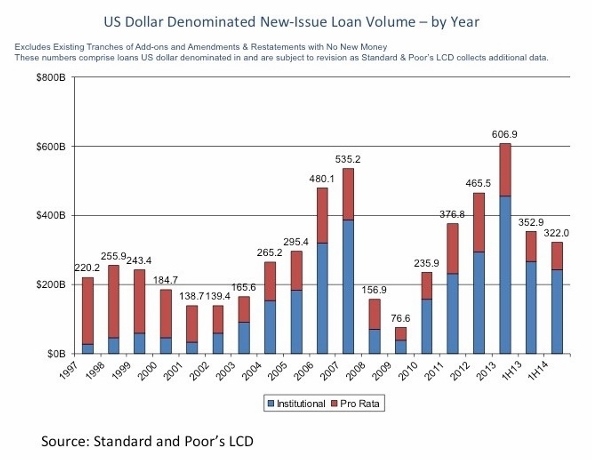 Editor’s Note: This is the first of a series of articles from John Slater that will cover the intersection of the private debt markets, private equity and the deals business. John Slater and the Capital Financing team at FOCUS Investment Banking are active in placing private debt capital for both operating companies and alternative finance companies. Permalink | Comments Off on Is This The Summer of 2007?